If you’ve been to a sporting event, you’ve probably seen an American Flag that spans the length of a football field getting rolled out for the singing of the National Anthem. The sheer size of the symbol of our nation’s strength stretched across a 100-yard field is something to marvel at. You might think you’re seeing the biggest American Flag in the world. But those flags have nothing on Thomas “Ski” Demski’s. Demski, who was a Long Beach, California native, passed away in 2002 with a tremendous accomplishment under his belt. Not only did he run for Mayor of Long Beach each year, he was the owner of the largest American Flag ever produced. 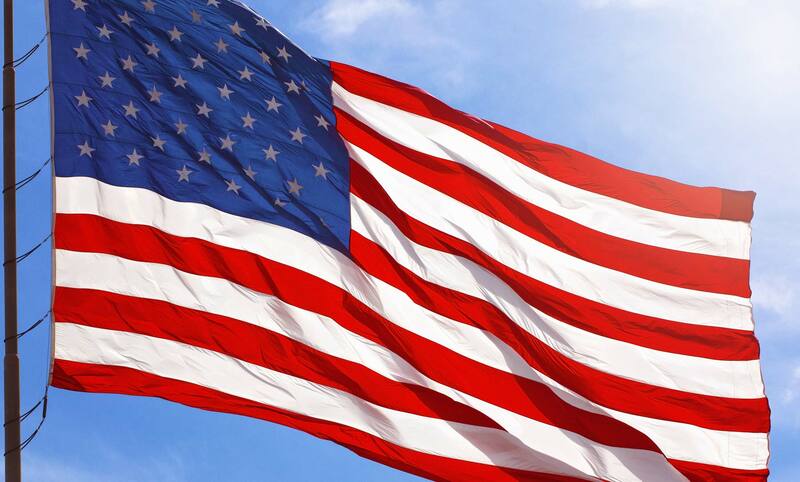 The flag, known as “superflag” measures 505 feet by 225 feet and weighs 3,000 pounds. It takes 500 people to stretch out and hold. Each star is an astonishing 17 feet high. For context, his flag is about one and a half football fields long, and almost an entire football field wide. Every star is the size three average sized men stacked on top of each other. In other words, it’s outrageously large. But with Demski’s passing, the superflag has not made a public appearance in quite some time. If you are a flag hunter and want to see our stars and stripes in a massive way, you don’t have to buy a Super Bowl ticket to do so. You will have to travel to North Carolina, though. For it to fly, it is attached to a pole that is over 225 feet tall and has a diameter of five feet. The pole itself weighs about 80,000 pounds, about the same as a fire truck. But on a good day, the flag can be spotted from over 30 miles away. So, while chances are you won’t be able to see the Superflag again for a while, you can take a trip to the Charlotte suburbs to pay respects to the largest flying symbol of our nation’s strength.